DIRECTOR’S MESSAGE: Hi Everyone. Mount Vernon Parks and Enrichment Services had a busy year. Our parks, trails, recreational programs and special events continue attracting more and more folks every year. Staff, and the hundreds of volunteers donating thousands of hours of time, work year round keeping our parks and trails beautiful and accessible, while ensuring our programs and special events run non-stop. But now it’s time to stop and take stock of all the good things we’re doing….and how we can make them better. WE NEED YOUR HELP!! Time to be heard….The opportunity to share your voice and help shape the future of our Parks is here. Early in 2019, we will launch a city wide effort to gather your opinions, likes and dislikes, thoughts, dreams and aspirations for our Parks and Recreation Comprehensive Plan update. Why do this?? Well… These are your parks,trails and pathways. They are your recreational programs and special events!! They exist to help create the experiences, Bill King, Director the memories and the bonds that will last a lifetime. The next six years will be driven by the plan we develop with your help and collaboration. The Parks and Enrichment Services Department works hard to ensure your leisure time is quality time. In early 2019 we’ll be sending out surveys, conducting public forums, collaborating in small focus groups and reaching out to all our citizens with one goal in mind; to continue providing each and every one of you a lifetime of positive and diverse recreational experiences here in beautiful Mount Vernon. Please participate and let your voice be heard. PRESCHOOL, YOUTH & ADULT PROGRAMS Mount Vernon Parks and Recreation invites individuals with special needs to participate in our programs. Please call in advance if accommodations are necessary for successful participation. Pickleball is one of the fastest growing sports in the United States and around the world. Elementary school children to folks in their 90’s can all enjoy this game. The game combines many elements of tennis, badminton and ping-pong. The game is played on a badminton sized court with a paddle and a plastic ball. No previous experience is necessary. Court shoes and the ability to freely move around the court is required. Child care is not provided. Days/times are subject to change. PICKLEBALL – A LIFETIME SPORT! Bring: A yoga mat and 2 yoga blocks. Wear comfortable clothing to move around in. PUPPY BOOT CAMP Puppies 12 weeks to 8 months will learn doggie social skills, good manners, and basic commands including: sit, down, stay, leave it, give it, take it, wait at door, come when called and much more. Hand signals and verbal commands will be taught. Owners will learn how to handle jumping, nipping, and biting. Learn the best potty training techniques as well as the most effective and humane ways to stop bad habits from setting in. Puppies will have fun doing confidence building exercises like tunnel runs and “walking the plank”. Clicker training will be explained, but use is optional. Well-behaved children, 10 years and older may attend this class. *Please provide a copy of current shot records, Bordetella required* Dates/Times: Wednesdays 6:30-7:30pm Session 1: January 9, 16, 23, 30, Feb. 6 Session 2: February 13, 20, 27, March 6, 13 Session 3: March 20, 27, April 3, 10, 17 Location: Hillcrest Park, Recreation Building Fee: $99 Min. : 6 Max. : 10 Instructor: Carmen Williams, CPDT-ka, AKC Canine Good Citizen Evaluator & Owner of Sunny Lane Canine Academy: www.sunnylanek9.com Note: Please bring puppy on regular collar (no metal) and 6-ft leash. Please bring treats for classes. COMMUNITY EVENTS Father / Daughter Valentineâ&#x20AC;&#x2122;s Ball All girls are invited with their fathers (or other father figure) to a Valentineâ&#x20AC;&#x2122;s Ball. This is an opportunity for dads and daughters to dress up and spend a night together creating lasting memories. Purchase tickets early to reserve your spot on the dance floor! All tickets must be pre-purchased. DATE: Saturday, February 2nd TIME: 6:00-8:00pm LOCATION: Mount Vernon High School Cafeteria AGE: Girls (17 years and under) /guardian (over 18 years+) FEE: $26 per couple, $13 additional girl For more information on any program or event run through Mount Vernon Parks & Recreation call the administration office at (360) 336-6215.
most vital components for project success. Partnerships should be built around organizations and people in the community who are well respected and have a high level of “trust equity” in bridging concerns of environmental harm, property rights, and loss of privacy. 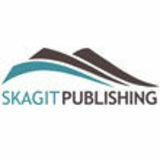 Creating situations where there is more than one winner is what we strive for at Skagit County Parks and Recreation. Our partners help us become more successful and with agencies such as the Skagit Land Trust, Skagit Valley College, School Districts, Trail Associations, Mount Vernon Parks and Recreation, Washington State Parks, Skagit Fisheries Enhancement Group, Skagit Conservation, and so many other organizations that work hand in hand with us to make sure the needs of the people who live and visit Skagit County are met. We take a great deal of pride in the partnerships we’ve created and look forward to developing more as we move into 2019. When we work together to build recreational infrastructure, everybody is victorious. Now that’s a winning concept we can all embrace. 27th Annual Spring Garage Sale, Antiques & More Sign up to sell your incredible things at an affordable booth space or come find new treasures for yourself! Bring your family & friends and enjoy vendors galore, food, live music & much more! Over 150 vendors and 6,000 visitors each year attend this event. Visit our website for vendor application forms. play cross-over games or be combined as needed. The season consists of a minimum of 8 games. Same colored, numbered shirts are required and each team must have a coach/manager who is 21 years or older on the bench for each game. 2019 Adult SPRing SoftbAll leAgueS Register by: Friday, January 11th EARLY NOTICE!! Spring Softball League information will be Ages: 9th – 12th grade boys available February 1, 2019! Softball will begin with jamborees the Day/dates: Sunday, beginning January 27th week of April 1st-5th with regular season play beginning Time: 9:00 am – 4:00 pm April 12th. Keep tabs on the Spring Softball League information at Location: Skagit Valley College (SVC) Gym www.skagitcounty.net/parks or e-mail tonyt@co.skagit.wa.us with Fee: $440.00 per team any questions or to get on a mailing list! Daddy Daughter Sweetheart Dance Friday, February 1 6:30pm-8:30pm Burlington Community Center, 1011 Greenleaf Ave $22 per couple, additional daughters $6 each Pre-registration required. B-E Kiwanis Kids Egg Hunt- FREE Saturday, April 20 10am @ Maiben Park Ages 8 & under hunt for candy filled eggs! B- E Kiwanis Teens Egg Hunt-FREE Saturday, April 20 8:29pm @ Whitmarsh Shelter Fun prize eggs & surprises hidden at the park! Not all exercise is suitable for everyone—always consult your doctor before beginning this or any new exercise program. Instructor reserves the right to evaluate student’s ability to participate in the class. Photography Composition and Basic Editing Calling ALL camera users! Want to learn how to compose a great shot and dabble in editing software. Bring your DSLR, point & shoot or smart phone. This class covers image composition techniques and photo editing for any camera. Minimum number of students MUST be met ONE week prior to start date. Native Plant Landscaping • Environmentally Friendly Garden Practices Integrated Pest Management (IPM) • Attracting Birds to Your Backyard • Composting Bees as Pollinators • Building Healthy Soils • Managing Invasive Plants • Gardening for Wildlife Introduction to Low Impact Development/Rain Gardens • Permaculture Gardens And MORE! Training provided by local experts! December 12 & 13, 10:00AM & 1:00PM Wrack and Wreath–We’ll explore treasures that washed up on Padilla Bay’s beach and create holiday decorations. February 8 & 9, 10:30AM-12:00 noon Fantastic Fish–Learn all about the fish of Padilla Bay and build a colorful tissue paper wind sock. free to bring additional drawing supplies. The class is offered twice: Friday January 11 and Saturday January 12, 1:00-2:30pm. Register online or call the Interpretive Center. March 29 & 30, 10:30AM-12:00 noon Plankton Aplenty–The tiniest critters in the estuary are also the most important. Dive into the microscopic water world of Padilla Bay. Aquarium Tour and Fish Feeding Come and find out what’s new and exciting in our aquariums. Join aquarist, Mark Olson for a behind-the-tanks view of the system, and a close-up look at the amazing critters in the tanks. Saturday, January 19, 11:00am. No need to register. Just join us in the aquarium room at 11:00. Upland to Bay to Skagit Flats: Winter Birds with Libby Mills Our hardy resident birds are busy with winter foraging, while migrants from the north are filling the fields and bays. Come explore the uplands, farmland, and waters around Padilla Bay with Libby Mills. Bring warm February 13 & 14, 10:00AM & 1:00PM How Animals Move–Swimming, flying, layers and a snack. Binoculars are available for those who need them. crawling squirming-only a few estuary animals walk on two legs like you! We’ll meet at the Interpretive Center parking lot. Saturday, November 24, 8:00AM-12:00 noon and Saturday, December 1, 8:00AM-12:00 March 13 & 14, 10:00AM & 1:00PM Habitat–Find out why Padilla Bay is noon. Please register online or call the Interpretive Center. the perfect home for so many things. Junior Ecologists are 6-9 year olds who have fun exploring the estuary. Excursions to the beach, science experiments, Introduction to Hawks of the Skagit Learn to recognize the most games, art projects, and studying life in the bay–this program is guaranteed common species in our area with raptor biologist and falcon aficionado, fun! Call the Interpretive Center or register online. Bud Anderson. A slide presentation from 10:00AM-11:00noon will December 8 & 14, 10:30AM-12:00 noon Wrack and Wreath–We’ll introduce you to raptor biology, field characteristics, and common explore treasures that washed up on Padilla Bay’s beach and create holiday behaviors. An afternoon field trip runs until around 2:00PM and is limited decorations. to 15 participants. Saturday, January 5, 10:00AM-12:00 noon. Register online or by phone. There is a separate registration for the field trip. Junior Ecologists are 6-9 year olds who have fun exploring the estuary. January 16 & 17, 10:00AM & 1:00PM Spiders versus Crabs–What makes a crab a crab and a spider a spider. Come explore the cool world of arthropods and meet some fun estuary critters. Excursions to the beach, science experiments, games, art projects, and studying life in the bay–this program is guaranteed fun! Call the Interpretive Center or register online. January 11 & 12, 10:30AM-12:00 noon Science Journals–We’ll create science journals and use Padilla Bay’s aquariums to study and record our observations of estuary animals. Storming the Sound This environmental education conference connects teachers, college students, agency and non-profit educators, and community volunteers for a day of networking, learning, and sharing. We especially welcome classroom teachers to join us. Held at Maple Hall in LaConner on Thursday, January 24, 2018, 9:00-4:30. Meet with old and new friends and hear from the movers and shakers of Environmental Education in the Central Salish Sea. For registration information see our website at www.padillabay.gov/storming. Swans, Geese and Dabbling Ducks Mild weather and available food make NW Washington an attractive place for waterfowl to overwinter. We will learn about migration routes, distribution, behavioral ecology and foraging habits of common species. Join us to discover what it takes to wear those waterproof feathers up and down the Northwest Coast. Instructor, David Drummond is a Wildlife biologist-Naturalist who has spent many winters surveying waterfowl from the Arctic to Antarctic. Saturday February 9, 1:00-2:30pm. Please register online or call the Interpretive Center. rAptor ClAss The Skagit Flats are nationally recognized for their hundreds of wintering birds of prey. This class will teach you about different kinds of raptors, emphasizing field identification and the particularly fascinating element of winter behavior. Instructor Bud Anderson has studied raptors for over 35 years, and has an incredible knowledge of local populations and peregrine falcons. This 5 week class meets Tuesdays from 7:00-9:00PM beginning January 8, with a Saturday field trip. The class fee is $175 per person. To register, send check to the Padilla Bay Foundation, 10441 Bay View-Edison Rd., Mount Vernon WA 98273. For Kids Mini Explorers are the 3-5 year old learners. We look at a new topic each month, with stories, games, hands-on observations, art projects, and plenty of action. Call the Interpretive Center to register or register online. 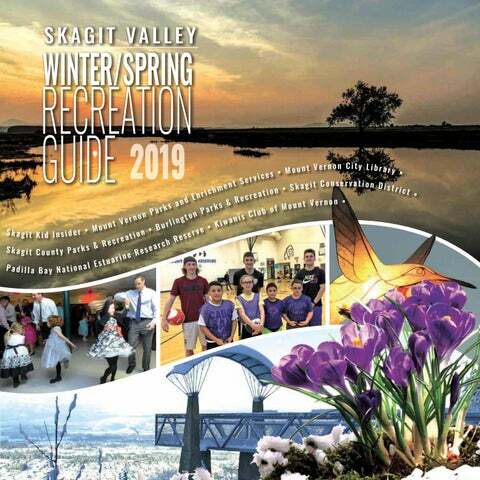 www.kiwanisbbq.com Kiwanis Club of Mount Vernon: Building a Better Community Kiwanis Salmon BBQ April 6-28, 2019 • Daily 11 am-7 pm 28th Annual Community Wild Salmon Barbecue Each spring during the Skagit Valley Tulip Festival, the Kiwanis Club of Mount Vernon hosts a 23-day salmon barbeque at the historic Hillcrest Lodge. Locally caught salmon is grilled to perfection over the open flame fire pit and served with delicious sides. What makes this event even more special is that every cent of this effort is returned to youth and community programs. calendar League Nights - Silver Arrow Bowmen Mon, Tues & Wed January-March Silver Arrow Bowmen Silver Arrow Bowmen 20409 East Hickox Road, Mount Vernon, WA 98273 Mon, Tues & Wed, January-March Monday nights January 14th through April 15th, 7pm-9pm Flint Round. This is a different kind of indoor shoot where we shoot various distances from 20 feet to 20 yards. It’s handicapped so all compete at an equal level. Lots of fun. Free for members, $3 for non-members. Tuesday night 6:30-8:30 is our Traditional League night, going on now. Just recurves and longbows, nothing with cams or pulleys. It is a great chance to meet other stick-and-string shooters in the area, and possibly shoot some different bows. Wednesday night through March 27th is League night for all bows. This includes our club handicap league, the State Mail-in Tournament and open practice at any distance up to 20 yards. Free for members, $3 for non-members. 25 Illuminight Winter Walk 3:30 PM - 5:15 PM Luminary Making at Tri Dee Arts 5:00 PM - 5:30 PM Live Music at Riverwalk Park Plaza 5:30 PM - Illuminight Winter Walk (start/end in the Riverwalk Park Plaza) The 5th Annual Illuminight Winter Walk celebrates art, light, health, and the community. Join us for in-the-moment luminary making, live music, a lighted procession, and festivities. This is a rain or shine event. For information call, (360) 336-6131. Saturday, February 10th 2-5 PM In support of the Birds of Winter Festival, the Mount Vernon Downtown Association will present a Birds of Winter Art Walk on Saturday, February 10, from 2-5 PM. Participating businesses will feature artists with bird themed art. Visit www.mountvernondowntown.org, email outreach@mountvernondowntown.org, or call (360) 336-3801. Mount Vernon Downtown Association Friday & Saturday, 10 AM- 6 PM, Sunday, 10 AM-5 PM South 1st Street, Downtown Mount Vernon Stroll among hundreds of new and returning Arts & Crafts Vendors for the best art, photography, jewelry, clothing, gourmet food stuffs, unique gifts, delicious food court offerings, live entertainment, and fun for the whole family. Make it a family tradition to meet at the Tulip Festival Street Fair! Visit www.mountvernondowntown.org, email outreach@mountvernondowntown.org, or call (360) 336-3801.